Moonlight Jazz Trio was founded by band leader and bassist Percy Matthews 2000. 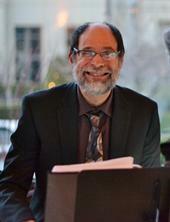 The Trio specializes in classic jazz tunes popular in the 50's, 60's and 70's. Their mission is to promote the arts and bring quality jazz music to their audiences. Band leader and founder of Moonlight Jazz Trio, Percy fell in love with the bass at the age of seven when he first saw it in the showcase at Music Box music store on Reid Street, Hamilton, Bermuda. 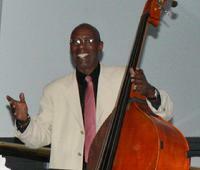 Percy is a jazz and classical bassist with over 30 years experience. A native of Bermuda, he left the island to study in New York at Manhattan School of Music. He was also tutored by jazz greats Reggie Workman and Lisle Atkinson. While in New York Percy performed as a member of the Earl Coleman Ensemble and Russ Volpe Big Band. He has lived and performed in Europe and Japan. Composer and pianist, Jim's music has been heard on over 100 TV shows including “Saturday Night Live” (NBC), “Parenthood” (NBC), "The Voice" (NBC),“90210” (The CW), “CBS Sports Spectacular”, "Blue Bloods"(CBS), "The Mentalist" (CBS), “American Pickers” (Hist. ), and the feature film “The Big Wedding” (Lionsgate), as well as many other shows. His CD's have been played on radio worldwide and he has won many awards for his compositions including a Grand Prize in the John Lennon Songwriting Contest (jazz category) and many more. He has released seven jazz CD’s. Jim's CD “I'm in the Twilight of a Mediocre Career” hit #1 on the Jazz Week Jazz Radio Chart and was featured in an interview on NPR'S Morning Edition with Susan Stamberg. Omar is a native of Buenos Aires, Argentina, where he recorded and toured with Latin, traditional jazz, big band and bop bands. In 1982 Omar came to the US to continue his musical career. He attended Georgia State University and AIM graduating with honors. Omar has made a name for himself in the Atlanta music scence performing with a variety of bands with styles ranging from pop to jazz and has recorded several CD's. 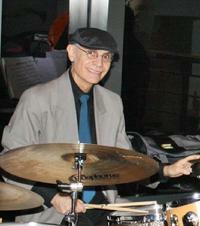 Omar has performed at the Montreux and Atlanta jazz festivals and he is currently a drum set instructor at Ken Stanton. He is renowned for his stylistic range and his passion for music.